When I first read Kevin Trudeau's Natural Cleanse I was motivated. What he suggests is intense and it is thorough. There were of course some things that I thought were too much and overboard and some that did not fit into the Dr. Sebi Protocol too. But I decided to create a 21 Day Detox Plan that would help everyone. 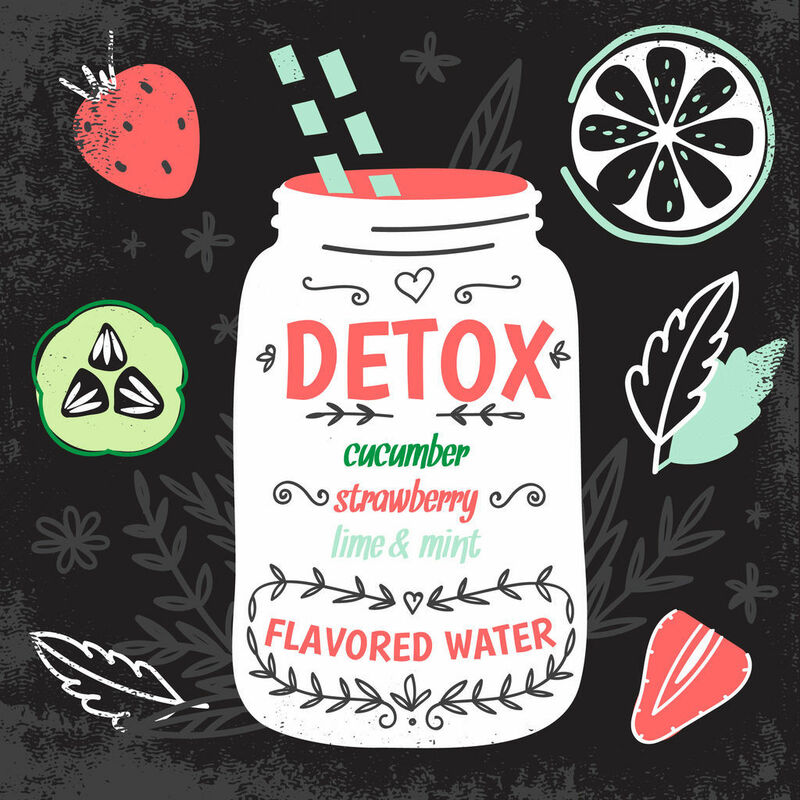 The 21 Day Detox Plan is meant to help clean you out, get rid of the toxins and help de-stress your system. Too many toxins in the body. While you may not understand the simple 4 steps now, you may come to realize that what he is suggesting is huge in itself. As we grow older, the body becomes more toxic. Most Americans are fast food junkies in their bodies and in their home. How easy it is to stop at Jack-in-the-Box for lunch than to go home and make a big salad. How easy it is to throw a frozen pizza in the oven opposed to making a nutritional meal or even a protein smoothie. Remember all disease comes from the stomach. The only way you can get rid of toxins in the body is to cleanse and fast. By not eating, you are starving the parasites and allowing the bad to excrete through your urine and feces. As much as you would like to think you do not have parasites, sorry to inform you, but you do. Anyone who eats fruits, vegetables or meat has parasites. Have you ever noticed the slits in grapes? Don't eat them. They may contain worms. So first we want you to start deworming your body. This is normally done with capsules or syrup. There are some that are highly recommended. So go and purchase a good parasite cleanse, such as this one and begin getting rid of the worms in your body. The next part of removing toxins is to do the Dr. Sebi Recommended Cleanse. You will mix these all in a bowl and take 2 capsules every day. During the cleanse it is important to fast. Any liquid fast will do. A liquid fast is anything that is liquified. No, you will not be fasting for 21 days. I want you to fast for 14 days and cleanse for 7 days. The last 7 days you will be working on liver and kidney cleanses. So in this phase we want to concentrate on what goes into the body. Do not eat any packaged foods, such as pasta. Drink all the herbal teas you want, but never mix more than 4 herbs in one pot. Buy a good juicer, so you can make fresh juice in your home. Do not take any over the counter vitamins except for digestive enzymes and vitamin D3. A good live flush is the one Dr. Hulda Clarke Recommended. You can do this during your fasting time. You need to drink organic apple juice 5 days prior the actual flush. So on day 15 you will begin to drink 8 ounces of apple juice daily and on day 20 you will do the liver and kidney flush. Plan to do this on the weekend as it may make you sick and you must be able to rest. Then on the day of the flush follow the instructions here On the 21st day you will do an act of charity and visit the sick or poor. Use electromagnetic and wireless devices less. Get a magnetic mattress pad. Use magnetic finger and toe rings. Stay away from electric tumble dryers. Add living plants in your home. Use Feng Shui in your home and office. I love this. Don’t use a cell phone and drive at the same time. Rest from Friday sundown to Saturday sundown. “Rest, The Key to Rejuvination”. Go to bed at approximately 10pm and arise at approximately 6am. Take an afternoon 15 minute break. Commit reckless acts of kindness.